Knee replacement recovery time is affected by a variety of factors. It is important to consider all aspects in order to determine if surgery is right for you. If you or someone close to you is considering a total knee replacement surgery (TKR), you’ve probably wondered how long exactly it will take to get back to 100% after surgery. As you probably already guessed the answer is – It depends. According to the American Academy of Orthopaedic Surgeons (AAOS) 98% of patients who undergo surgery are able to successfully return to activities of daily living and occupational duties. The complication rate is quite low at 2%, making it one of the most common and successful surgeries1. Generally recovery from the surgery will take approximately 12 weeks2-4. However, depending on the demands of your lifestyle it could take up to 6-12 months to feel the full benefits of surgery. The following timeline represents the recovery trajectory that is generally expected after total knee replacement surgery without complications or the presence of other conditions2-4. After your surgery is complete you should expect to spend some time in the hospital where you will be closely monitored by physicians and assessed by a physical therapist or orthopedic surgeon. Once you achieve the hospital’s discharge criteria you will be allowed to return home to continue your recovery in a more comfortable environment. For the first several weeks you will be unable to walk without assistance devices like canes or walkers. You will likely experience difficulty performing simple activities of daily living such as sitting, walking, or climbing stairs and driving. Your knee will be stiff and sore, however you will be given a supervised rehabilitation program to improve joint function and prescribed medication to manage the pain. Under the supervision of a physical therapist you will progress through the post-operative rehabilitation program, begin light cycling and supervised unassisted walking. At this stage you will experience the most significant progression in function as range of motion, strength and stability begin to return to your knee joint. You may still have limited mobility and experience pain during this stage. Basic activities such as walking, sitting, and stair climbing may still be challenging and require assistance devices. During this stage you will have achieved marked improvement in joint range of motion and muscle strength. Performing activities of daily living will be comfortable and generally pain free. You will be able to walk up and down stairs without assistance and have increased confidence in your replaced knee. For most people, they are able to accomplish all the basic tasks required to get through an average day. For individuals wishing to return to recreational activities (sports, hiking etc.) or those that have significant physical occupational demands, further progression in rehabilitation may be required to achieve satisfactory outcomes. At this point the majority of improvements in your surgically replace knee will be fully realized. That being said you may experience small and steady improvements in strength and range of motion for many more months. There are numerous factors that can impact both the rate and the quality of your recovery after surgery. Understanding how your pre-surgery health and joint function impacts your recovery timeline will help inform your expectations. What exactly is a comorbidity? In a surgical context it is the presence of other chronic conditions that may influence the medical procedure in question. When it comes to knee replacement surgery, the three most common comorbidities are hypertension, diabetes and obesity5. Surgical candidates with many comorbidities should expect to have a longer stay in the hospital post-surgery and are at a higher risk for complications in the short term6. In the long term those with diabetes7 and cardiovascular disease5 may achieve worse results during rehabilitation. Consequently, diet and weight loss ahead of a scheduled surgery could help eliminate or lessen comorbidities and improve the quality of your recovery afterwards. Age doesn’t appear to be a major factor influencing the quality of recovery one can expect after surgery8. Gender may exert some minor influence, but is largely inconsequential in the long run. Some studies suggest that despite having similar recovery profiles to males, women may initially experience more pain and discomfort directly after surgery9. Fortunately this difference is primarily confined to the acute 1-2 week recovery phase. Your pre-surgery pain and physical function will influence your knee replacement recovery time. Physicians often quantify this using a standard assessment questionnaire called the “WOMAC” (Western Ontario and McMaster Universities Osteoarthritis Index). Patients who rate their baseline pain and dysfunction as higher tend to experience more dramatic improvements than those who have more moderate pain and dysfunction. However, despite this larger degree of improvement the final result is typically not as good as those who had better pre-surgery function10. That being said, it is in your best interest to build and maintain as much strength and flexibility before undergoing surgery. 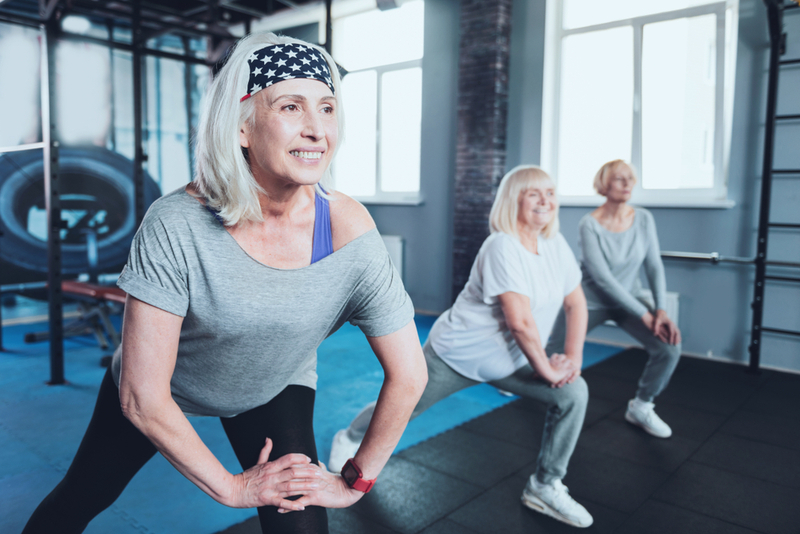 The most important muscle group to consider for knee replacement recovery time is the quadriceps which are responsible for stabilizing and extending your knee joint. The strength and flexibility of the knee joint is heavily influenced by this muscle group and patients with stronger quads tend to achieve superior results during rehabilitation with a physical therapist11. Depending on your situation, you may be advised to wait for surgery given the severity of your condition and your age. Given that pre-surgery knee joint function appears to be related to the quality of the recovery and the final outcome, maintaining joint function during this period could be a wise investment for the future. It may be worth talking to your physician about implementing strategies aimed at preserving your joint health such as weight-loss, regular exercise, and supportive knee braces to be used during strenuous activity. Keep in mind that knee replacement surgery is designed to help you improve your quality of life by restoring your ability to perform basic activities of daily living – Walking, squating, kneeling, and stair climbing. Activities beyond these may exceed the outcomes generally expected by medical professionals. If you hope to do more than the basics after knee surgery it is important to discuss your expectations with your physician to ensure that you are happy with the final outcome. Podmore, B., Hutchings, A., van der Meulen, J., Aggarwal, A., & Konan, S. (2018). Impact of comorbid conditions on outcomes of hip and knee replacement surgery: a systematic review and meta-analysis. BMJ open, 8(7), e021784. Pugely, A. J., Martin, C. T., Gao, Y., Belatti, D. A., & Callaghan, J. J. (2014). Comorbidities in patients undergoing total knee arthroplasty: do they influence hospital costs and length of stay?. Clinical Orthopaedics and Related Research®, 472(12), 3943-3950. Amusat, N., Beaupre, L., Jhangri, G. S., Pohar, S. L., Simpson, S., Warren, S., & Jones, C. A. (2014). Diabetes that impacts on routine activities predicts slower recovery after total knee arthroplasty: an observational study. Journal of physiotherapy, 60(4), 217-223. Jones, C. A., Voaklander, D. C., Johnston, D. W. C., & Suarez-Almazor, M. E. (2001). The effect of age on pain, function, and quality of life after total hip and knee arthroplasty. Archives of internal medicine, 161(3), 454-460. Papakostidou, I., Dailiana, Z. H., Papapolychroniou, T., Liaropoulos, L., Zintzaras, E., Karachalios, T. S., & Malizos, K. N. (2012). Factors affecting the quality of life after total knee arthroplasties: a prospective study. BMC Musculoskeletal Disorders, 13(1), 116. Mizner, R. L., Petterson, S. C., Stevens, J. E., Axe, M. J., & Snyder-Mackler, L. (2005). Preoperative quadriceps strength predicts functional ability one year after total knee arthroplasty. The Journal of rheumatology, 32(8), 1533-1539.